The Phoenix job market no longer just depends on construction and tourism, and is more diverse with increases in healthcare, tech, engineering, and finance. The jobless rate is low at 3.4% for the metro area, and the average annual earnings are $66,000 now vs. $39,000 in 2007. Another difference is in new construction. Housing starts are down 4.2%, meaning that the builders are building homes for owner occupancy, not over building for speculation. Rental rates have jumped and now average $1,495 a month. Phoenix metro is growing with inbound relocation, most coming from southern California. 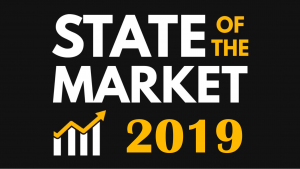 The 2019 predictions are that we are still in a Seller’s Market. However, that market segment is slowing, so expect longer days on market and lower appreciation rates this year. Of course, the most sales will take place between now and April, so now is the time to consider listing your home in order to sell at the highest price as well as make a purchase with the largest amount of homes to choose from. The only constant in real estate is change as they say. The market ebbs and flows, so if you are thinking about making a move in 2019, I would love the opportunity to work with you for buying, selling, or investing. Our team is here to serve you for all of you real estate needs, call us today at 480-355-8645.